This was a development workshop that was intended to address specific questions in computer graphics education as suggested in the Call for Participation. The process for the workshop was that individuals submitted position papers to the Program Chair, and these were reviewed to choose persons who would be invited to participate in the workshop. This model has worked well for previous education workshops in Begur, Spain (1991) and Coimbra, Portugal (1999) and this is one of the kinds of workshops that is part of the planned focus for the new Eurographics Education Board. The workshop chairs, programme committee, and participants are listed at the end of this report and the participants are shown in the photo below. A group focused on the development of a refereed repository for computer graphics educational materials. These concepts could be covered at several levels, from the algorithmic and mathematical to a general conceptual treatment followed by work that used the concepts with a graphics API. This set of concepts greatly enlarges and changes some of the focus of the computer graphics in the Computing Curriculum 2001 documents but we believe that the very light coverage of computer graphics in that curriculum makes this appropriate. In addition to the discussion of the beginning course, this group looked at some possible focus areas for more advanced courses. Some of these included completing the algorithmic treatment of the subject if that had not been done in a beginning course, considering global illumination processes, considering other kinds of modeling and rendering such as volumes and image-based work, visualization, and virtual or enhanced reality. Further work on these topics is included in the group’s final report and is expected to be part of a future workshop. We recognize that the simple ability to create an image with graphics algorithms or APIs is not enough to qualify one as a real graphicist; the image must have a purpose and must be effective at achieving that purpose. Much of that effectiveness comes from good narrative and aesthetics, and in turn they come from an understanding of visual perception and from good work in envisioning and design as the image is built. This group is undertaking the task of developing outlines of course content in these areas that can be used with courses at several levels, and it is expected that their work will provide resources so that instructors can include this content and make their courses less one-dimensional. A report from this group will be included when it is ready. This was one of the key recommendations of the 1999 workshop but there had been little progress on it. 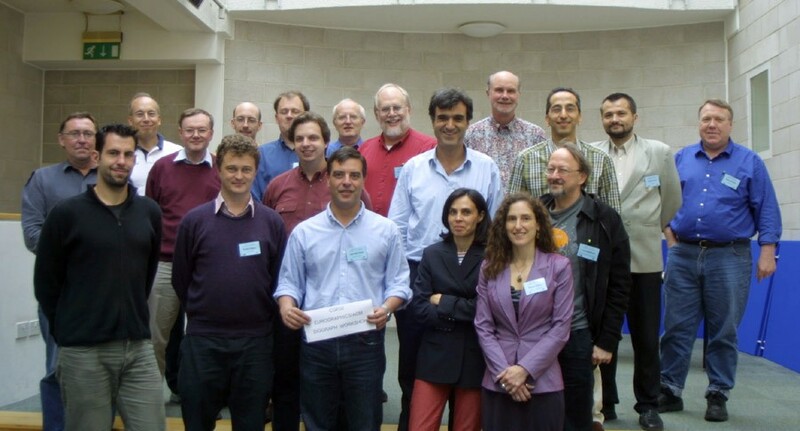 Thus developments in this area were a key goal of the workshop, and this group did a lot of work to develop details such as the kinds of work that would be accepted (both formats and content), editorial policy and structure, solicitation and refereeing processes, and guidelines and submission data for authors. A more complete description of the repository and the processes that will be used to develop it will be available soon. The group addressed funding issues and developed a set of timelines that should lead to rolling out a first version of the repository by March, 2003. This will be brought to the ACM SIGGRAPH Education Committee and the Eurographics Education Board for consideration as part of appropriate sponsorship and funding discussions.